Belated happy new year, everyone! The past few weeks have been uncommonly cold. Whilst most of us are celebrating and wishing this temperature lasts, I’m here huddle in my blankets, taking cough medicines and feeling unhappy. The weather frequently affects me, I feel downcast during this season. A silver lining: a winter inspired outfit! 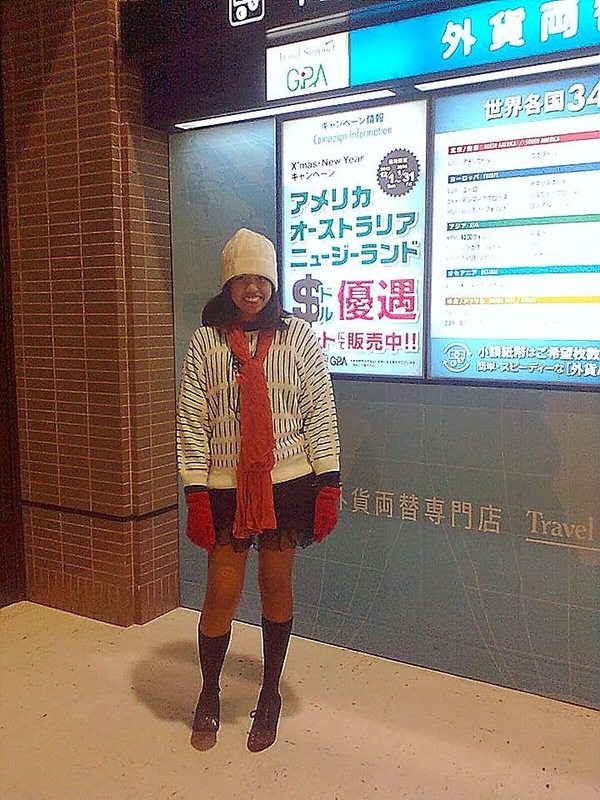 Layering is actually a trend I haven’t tried in our country, so I wore this when I went to Tokyo last weekend. The temperature there was below freezing. For outfits like this, texture is key. I balance the heavy woven material of the sweater by pairing it with a chiffon skirt. My parents actually asked me if I wouldn’t be cold with this. Haha! I love how the Japanese layer their clothes; it was carefree and young, compared to the western people. Here's me, at 成田国際空港 Narita International Airport. Again, my complete incapability to purchase a DSLR hurts me. More outfit posts to come! I wasn't! I still wore a winter coat :) how's the weather there?